It is said that Sauvignon Blanc vines should be able to see the ocean. With this in mind, the vineyards at Nova Zonnestraal were planted with a good view of Cape Hangklip from the western slope and False Bay from the eastern. With the Cape's temperate climate and the valley's perfect positioning between mountain and sea, the Constantia Valley enjoys a long reputation for producing some of the world's finest wines. On February 2nd 1659 Jan van Riebeeck, the First Commander of the Cape of Good Hope, wrote in his diary: "Today, praise be to God, wine was made for the first time from Cape grapes." In 1680 the Cape's first Governor, Simon Van der Stel, planted 100 000 vines in the Constantia Valley, and by 1761, Constantia red and white wine was being exported. 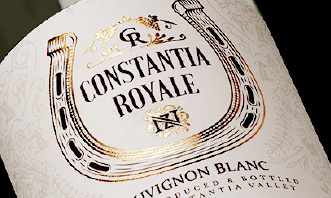 By 1778 Groot Constantia wines were acclaimed throughout Europe. Nova Zonnestraal itself dates back to the 1700's when it formed part of Alphen Estate. Today, the 16 hectare farm concentrates on the growing of grapes and olives, alongside its top equestrian yard. Originally the farm grew Hanepoort table grapes, but in 2002 a decision was taken to plant wine grapes. Initially Cabernet Sauvignon, Merlot and Sauvignon Blanc were planted. The wine made from the Sauvignon Blanc grapes was soon sold out and it was decided to focus our energies and endeavours on this wine. The Cabernet Sauvignon and Merlot vines were replaced by new Sauvignon Blanc vines, along with some Semillon for possible future blending.